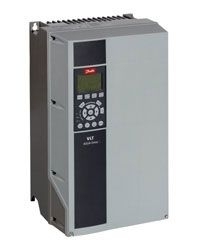 If you want an AC drive that is easy to operate and offers the highest level of customization, Danfoss drives provide a wide range of software tools along with their drives for your motor system controls. Danfoss drives can be connected wirelessly to smartphones and apps which brings data closer to where it is required. This digital leap for Danfoss was clearly demonstrated at the SPS IPC Drives Fair, where a predictive maintenance, WLAN access to their drives, and cloud solutions were highlighted. In particular, a breakthrough in drive technology, the VLT® Automation Drive FC 302 can be integrated with predictive and condition-based maintenance functionality. Its new functions allow you to use the drive to monitor your motor’s condition and application as well. This enables you to detect early problems and find solutions before they become serious. Here are its advanced, unique features. Condition-based maintenance: with this feature, you can set different thresholds and determine the baseline monitoring with various methods and adhering to relevant guidelines and standards. The condition-monitoring functions can be performed without being connected to the cloud. However, it is capable of cloud connectivity to monitor numerous conditions at plant level or in-depth cloud analysis. Motor-stator-winding condition monitoring: this unique monitoring function in Danfoss drives allows for detection of motor isolation faults earlier and allows for corrective maintenance. Burned motors, and so costly downtime, can be avoided. Mechanical-vibration monitoring: this prevents accelerated wear of mechanical parts in the drive system through a sensor, an external vibration transducer, to monitor the level of vibration. The key advantage it provides is the ability to correlating data with the actual conditions of the operations such as load or speed. Load-envelope monitoring: this feature enables detection of unexpected operating conditions such as fouled pumps of an HVAC system, clogged filters or a leakage. The load curve changes from its initial baseline once a part has worn out. After which a maintenance warning will be triggered to quickly resolve the issue, helping you save energy and time by keeping your equipment in good conditions. This innovation is why Bauer GMC partners with Danfoss to represent our line of high quality and efficient variable frequency drives. The VLT series of Danfoss drives caters to numerous building applications and are ideal for business and industrial operations. They are perfect for automated systems, HVAC and water systems. To Learn more about high-quality Danfoss drives, contact or visit Bauer GMC today.